With Apple's iPhone 8, 8 Plus and X all supporting wireless charging at up to 7.5 watts, we're rounding up a list of the best Qi wireless chargers that you can buy right now, freeing up cables and offering fast charging with ease. With universal charging that's capable of delivering optimal charging speeds based on your device (in the case of the iPhone 8 and X, 7.5 watts), Anker's new line of PowerWave 7.5 products come in your choice of a pad or stand, depending on whether you want to charge your phone in a flat or upright position. Both PowerWave 7.5 options are equipped with a high-efficiency chipset and internal cooling fan for fast charging — and can charge through cases up to 5 millimeters thick, including OtterBox covers. The PowerWave 7.5 Pad retails for $45.99 and comes with a Quick Charge (QC) 3.0 wall adapter. The PowerWave 7.5 Stand, which also includes a QC 3.0 adapter, sells for $49.99. Both options are available for purchase today on Amazon.com. For more info, be sure to check out our full Anker PowerWave 7.5 review. With a non-slip TPU finish and included wall adapter, Mophie makes it easy to charge your iPhone 8 or X right out of the box. Supporting the latest Qi technology and fast charging (up to 7.5 watts), the Mophie Wireless Charging Base also has fail-safe circuitry to prevent over-charging, drawing minimal power when idle. Optimized for the iPhone 8, 8 Plus and X, charging begins instantly without a need to find the perfect position, a benefit born from Mophie's partnership with Apple. The Mophie Wireless Charging Base retails for $59.95, but is currently available at Amazon for $57.94 with free shipping. 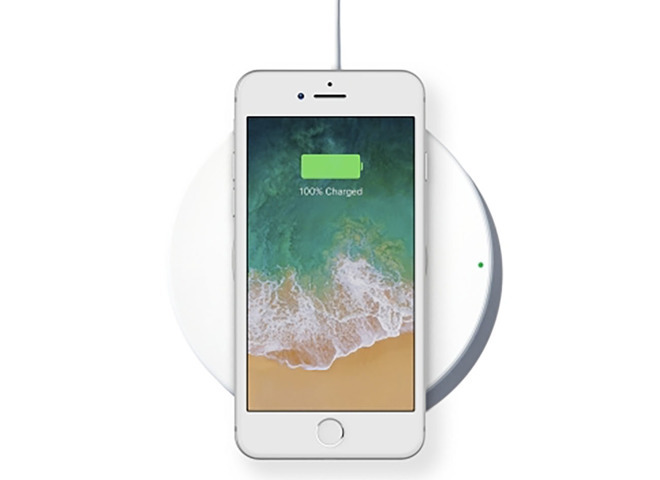 Optimized for the iPhone 8, 8 Plus and X, Belkin's Boost Up Wireless Charging Pad has an LED charge indicator to let you know when a device is charging. The Qi pad also supports fast charging with up to 7.5 watts of power, and it can charge through most cases up to 3 millimeters thick. Priced at $59.95, the Belkin Boost Up Wireless Charging Pad includes the wireless charger and AC adapter. Shoppers looking for a discount, however, can save 11 percent when purchasing from Amazon.com. With a sleek design to complement home and office decor, Samsung's Fast Charge Wireless Charger is compatible with Qi-enabled devices, including the iPhone 8, 8 Plus and X. A multicolored LED halo provides a visual cue as to the charging status, and the charger can easily be stowed away when traveling. 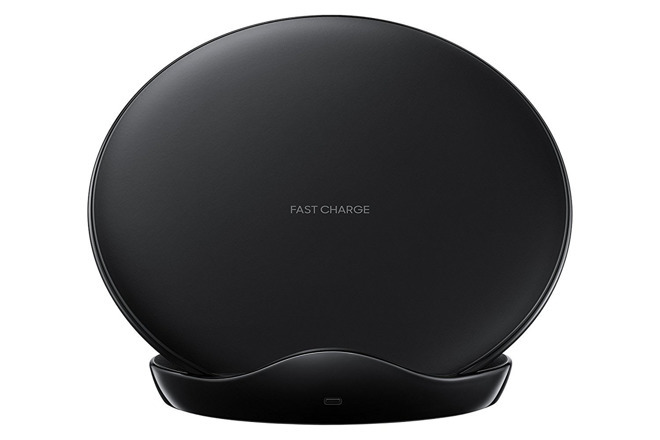 Retailing for $69.99, the Samsung Qi Certified Fast Charge Wireless Charging Stand is available at Amazon.com with free shipping. Nomad has gone above and beyond in the wireless charging space by creating its Wireless Hub, which can power up to five devices at once. 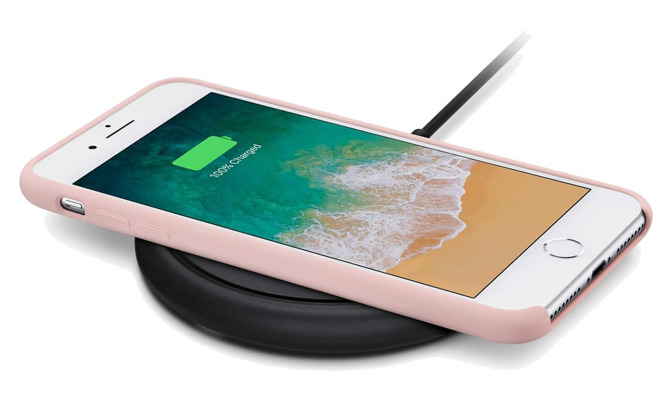 Featuring a wireless top with a max output of 7.5 watts, this charger is compatible with the iPhone 8 and X, as well as all wireless-enabled Android devices. Four USB ports (one USB-C port, one high-powered USB-A port, and two standard USB ports) can also be found under the soft matte rubber top for charging iPhones, iPads, Apple Watches and more. 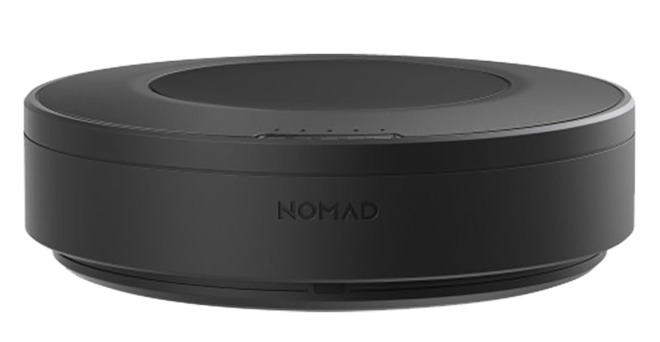 The Nomad Wireless Hub can be purchased directly from Nomad for $79.95. Nomad recently released a second wireless charger — this time, one that can go anywhere. 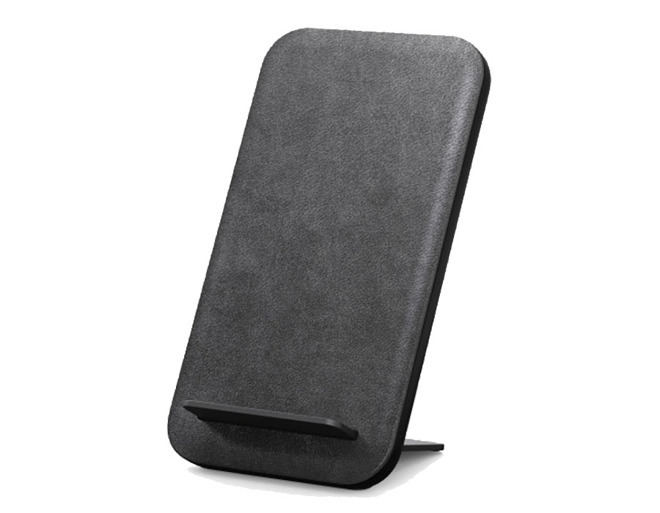 The top of the Nomad Wireless Travel Stand is wrapped in slate colored leather from the Horween leather tannery in Chicago, a material used in many of Nomad's products. The charger itself works laying down on your desk/nightstand, but a hidden aluminum kickstand allows it to easily convert into a vertical stand. Included with the charger is a 1.5 meter cable, which could be short for some users, but is well-suited for traveling. The Nomad Wireless Travel Stand retails for $59.95 and includes the charger, cord and power adapter. 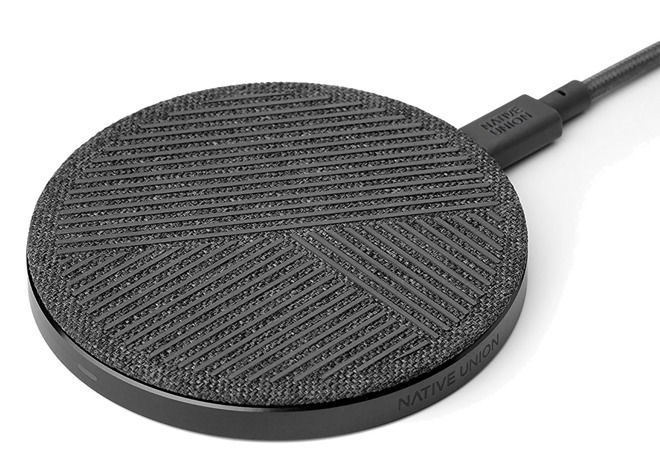 The Native Union Drop has to be one of the best looking wireless chargers to hit the market. The sleek body is made from aircraft-grade aluminum, and the top is fabric, with silicone tread. The tread not only keeps your phone from sliding around, but elevates it just slightly to help keep temperatures down. If you have a compatible Android handset, the Drop can charge at up to 10 watts, but unfortunately, the iPhone is still limited to 5 watts. We love the included cable, not only because it is a lengthy 6.5 feet, but because it utilizes USB-C as well. Available for purchase on Amazon, the Native Union Drop Charger costs $59.99 with free shipping. If you are looking for a slim wireless charging solution, Aukey has an option for you. It looks quite striking too. 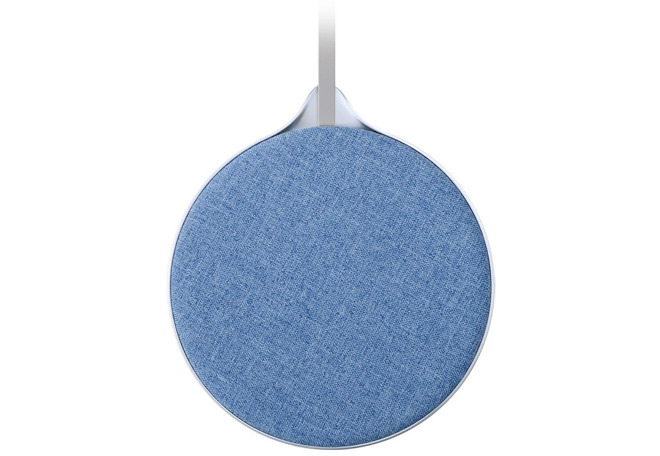 The 10W Wireless Charging Pad has an aluminum bottom with a soft, blue fabric top. Android devices can take advantage of up to 10 watts of wireless charging power, though iPhones are still relegated to 5 watts. The built-in USB cable is thin as well, opting for a grey, flat-style cord. Amazon has Aukey's 10W Wireless Charging Pad in stock now for $28.99 with free shipping. With a price tag of less than $27 due to the lack of an AC adapter, Vesena's Fast Wireless Charger Dock is affordable and Qi-compatible for use with the iPhone 8, 8 Plus and X. 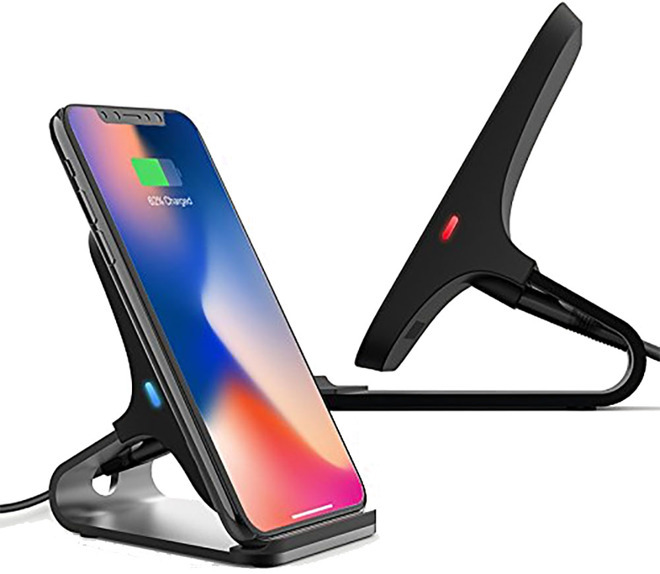 By allowing the phone to charge horizontally or vertically, the Vesena Wireless Charging Station provides easy viewing access compared to flat charging mats. The dock itself is made of zinc alloy with a sleek, plain black design and features over-voltage protection and temperature control. It also can detect foreign objects — and with two coils built-in, there's a wider charging area so you don't have to waste time finding the perfect charging spot. The dock has a USB-C connector, but if you already have a QC 3.0 wall charger, you can save roughly $20. Retailing for $26.99, the Fast Wireless Charger Dock from Vesena is available today at Amazon.com with free shipping. The Scosche Magic Mount Charge takes one of the most popular phone mounts, and adds a magnetic wireless charger. Using a compatible case or magnetic plate, you can easily set your phone on the charger without having to dock it, or line it up. 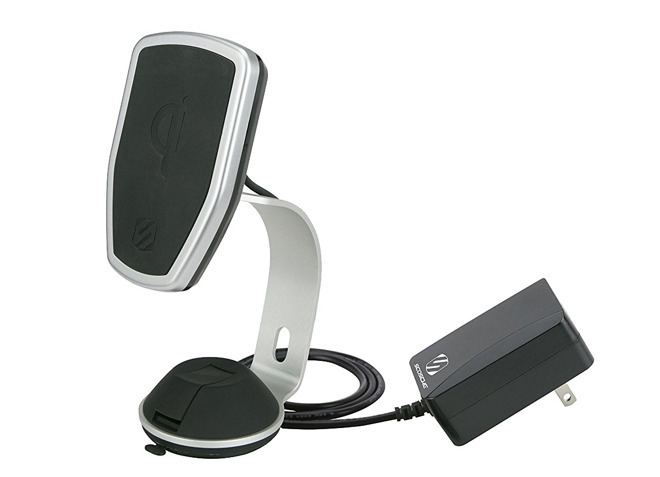 The super suction mount can place this dock on your desk, in your car, or under a cabinet. It is super versatile, and wireless charging makes it even better, even if the iPhone is limited to 5W. The Scosche Magic Mount Charge is available on Amazon for $66.75 and includes the power cable and wall adapter. Looking for budget-friendly options? 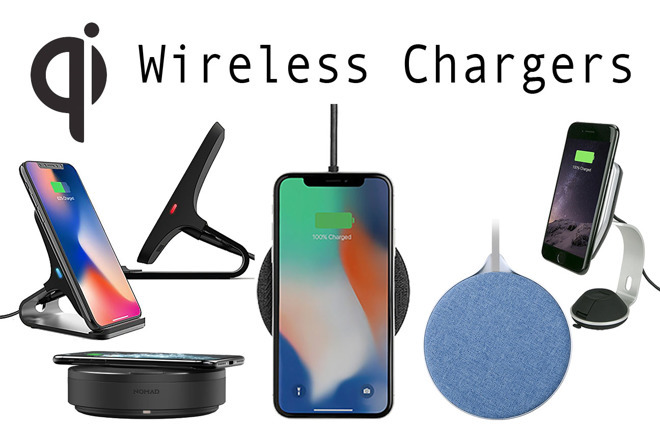 Check out our list of low-cost Qi wireless chargers for the iPhone 8 and X.